As your kids grow, you ditch old ways and come up with new ideas and ways of doing things. Time passes, kids grow, needs change, and new ideas emerge! As most of you know, Liam has Down syndrome. He currently receives Early Intervention services, and has a physical therapist, occupational therapist, and a speech therapist. He sees each therapist once a week, in our home, for one hour. We are so thankful for the extra support and we know that kids with special needs are THRIVING due to these amazing services that they receive from birth! All parents of kids who have special needs know that therapy doesn't just end there. It is CONSTANT. It's our job to continue therapy in everyday life and build on the concepts that the therapists introduce. 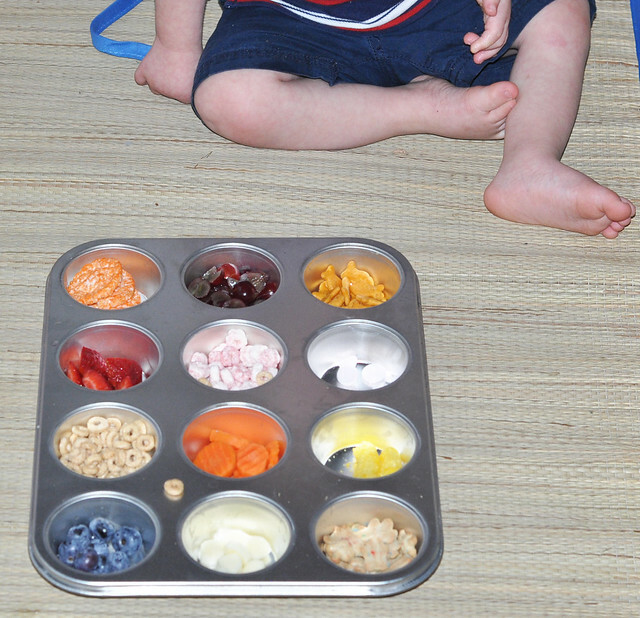 Recently, Liam's wonderful OT, who has been with him since he was 2 months old, mentioned that I should give him snacks out of a tiny bowl to increase his fine motor skills. She said that it would really motivate him to use his pincer grasp more often instead of the whole-hand grab he uses when he gets lazy. After she left, I searched my cabinets for the perfect bowl until inspiration struck! 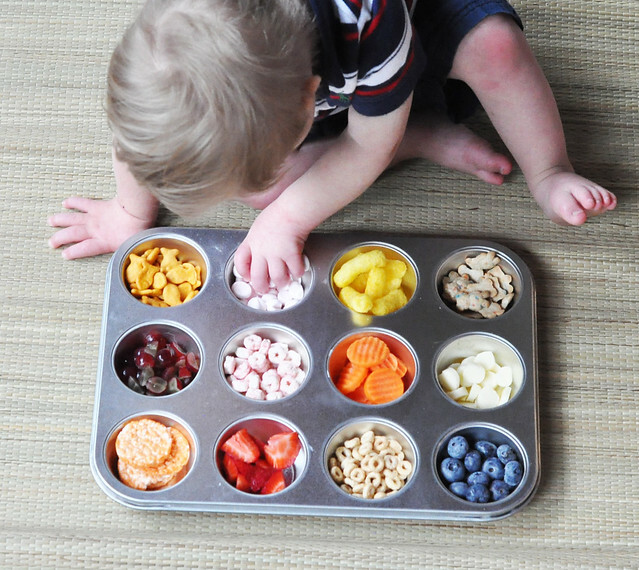 When Dylan and Lexie were toddlers, they always shared muffin tin meals. They loved them, but they eventually started using other things, and muffin tin meals quickly became a thing of the past. I'm not quite sure why I never made them for Lily, but I knew it was the perfect idea for Liam! It really is an easy concept. ...into something new and exciting! An added bonus? 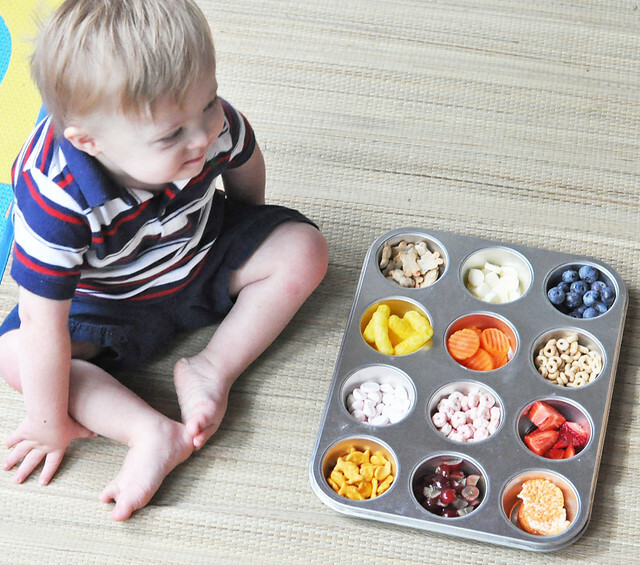 It offers kids a wide variety of food choices and helps with fine motor skills! 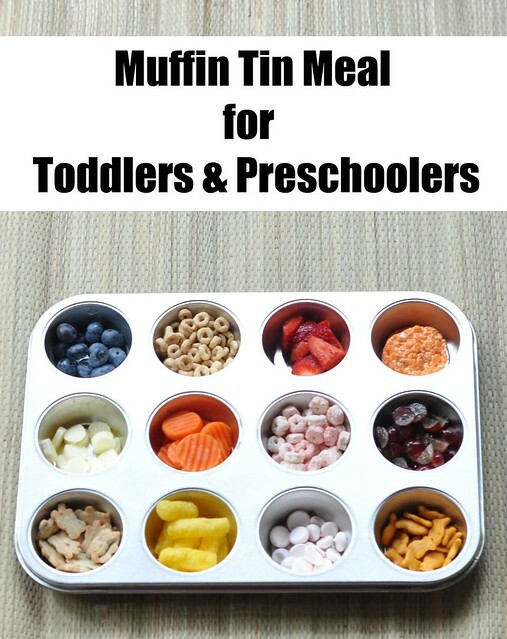 Liam, meet Muffin Tin Meals! It worked exactly as intended. 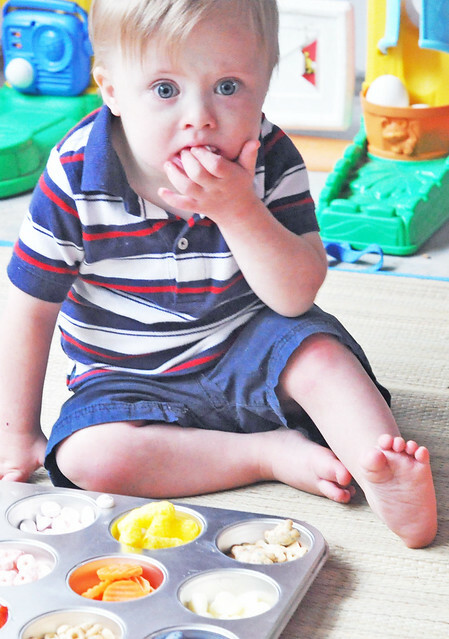 He reached for something different every time, and by the end, he was using his pincer grasp more often! My sweet Lily tiptoed over while Liam was eating and told me that it looked "really cool and delicious!" I told her she could share with Liam, so she promptly plopped down and took over! 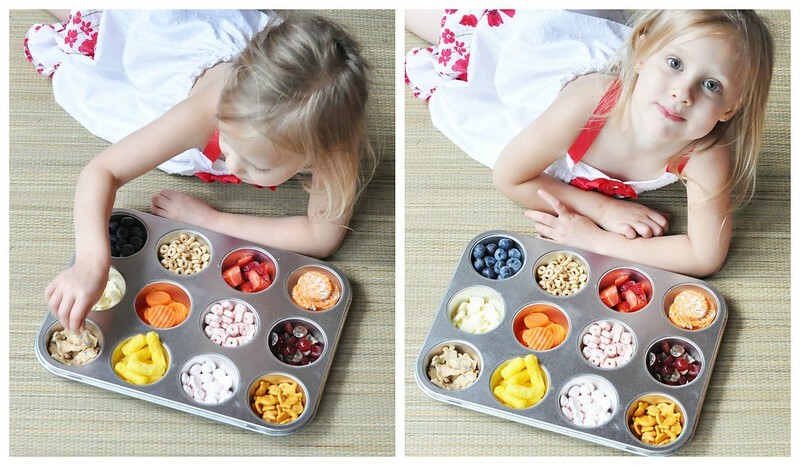 Muffin Tin Meals are perfect for kids of any age! Once Liam had his fill and crawled away, Lily, Lexie, and Dylan shared the leftovers! 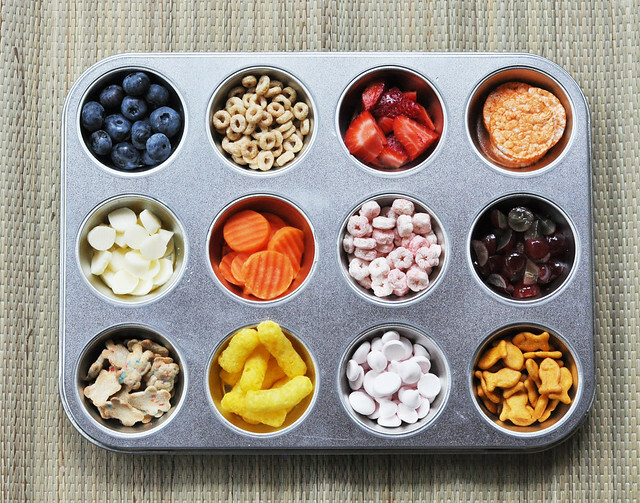 What foods would you add to a Muffin Tin Meal? Love the pictures! Looks so fun. What a good mama :) Pinning! Love these so much! 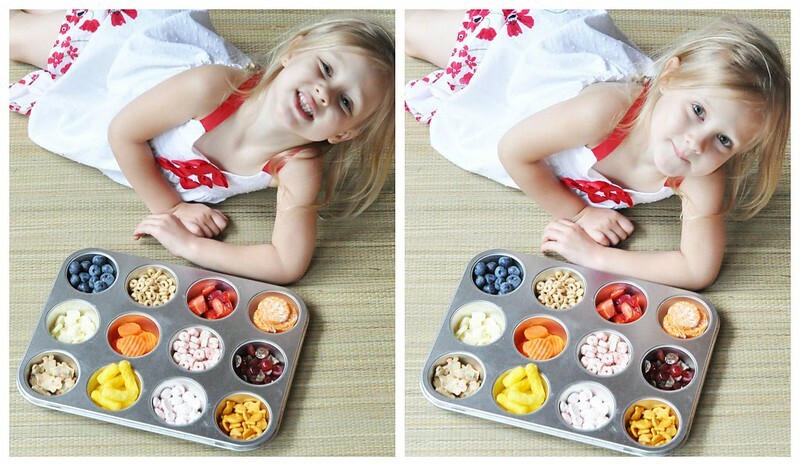 Such a great idea and a fun way to make your kids want to eat healthier! Thanks! They do eat better when they are given a wide variety. I was so surprised that the only food they didn't eat was the treat! Ive seen these all over Pinterest and have yet to do one! The presentation alone is beautiful but think of all the variety! 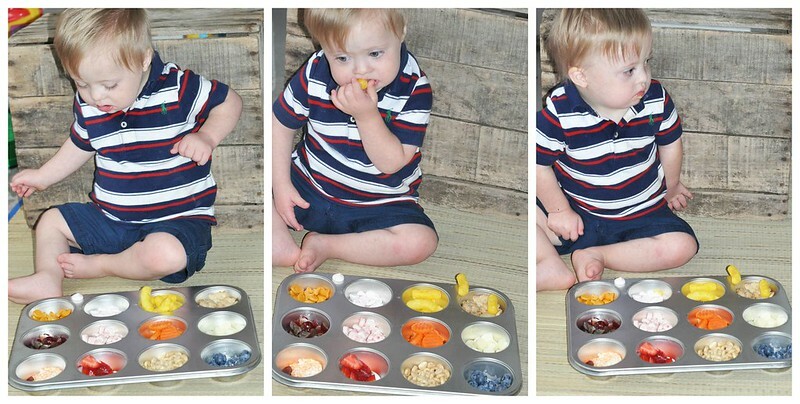 I have one picky eater (4 years) and a foodie (1year) that would probably both enjoy this. I'm sure they would. My 1 and 3 year old shared it nicely!!! 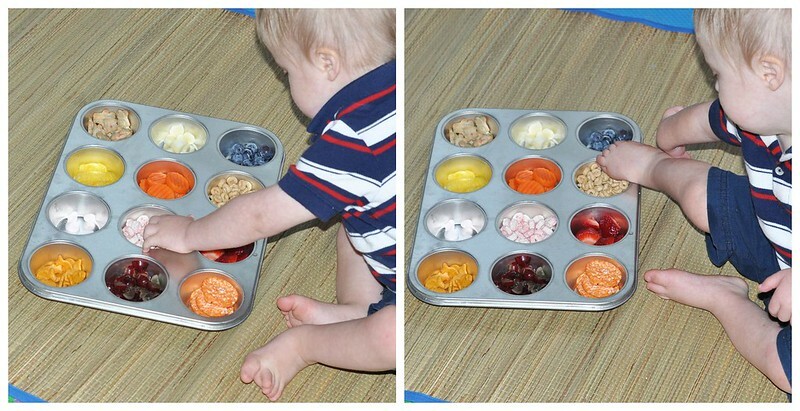 I love this idea and have used muffin tins for snacks in the past! Thank you for sharing your treat ideas! It's great for sharing snacks! 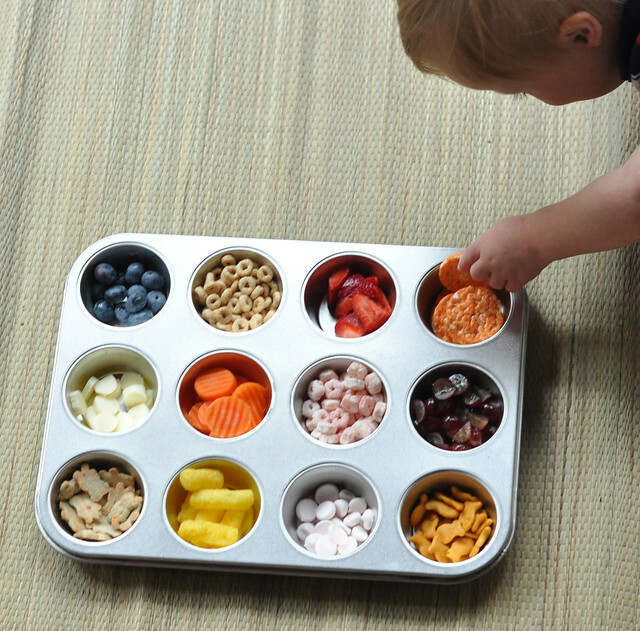 A great use for the trays! I used to do so many muffin tin meals and link up every Monday. It was fun. That is fun! I feel bad about never making them for Lily. She REALLY loved it! I MUST do this for Mia asap! She would think it's sooooo fun! And I love the idea of stuffing a whole bunch of different foods into one meal! I LOVE this and reallllly need to try it for my two year old. She likes to eat, but I think she's just bored with what I give her and how I give it to her. Question, though: do they eat everything in it? I'd only be worried about how much food could go to waste. Mine seem to eat better when they are given a variety! My kids did eat everything except all the teddy grahams. There are 4 of them, so the snacks went quickly! 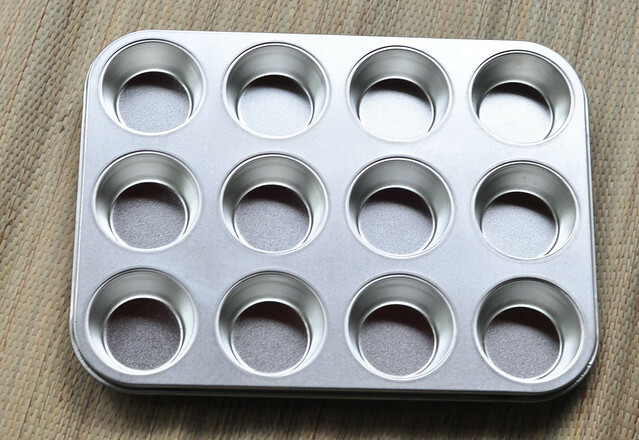 Maybe try the 6-hole muffin tin! I love this idea. Liam looks so grown up in the first picture! Thank you! He really is looking so much older. If only his tiny body would catch up!